In the spring of this year, we looked up a rental home in an "out of the way" town for a family getaway. I loved it there. I loved how remote it was and how warm it was but I also really loved this little daisy tree that was sitting on the hearth inside the home. The daisy tree made me happy as soon as I saw it. 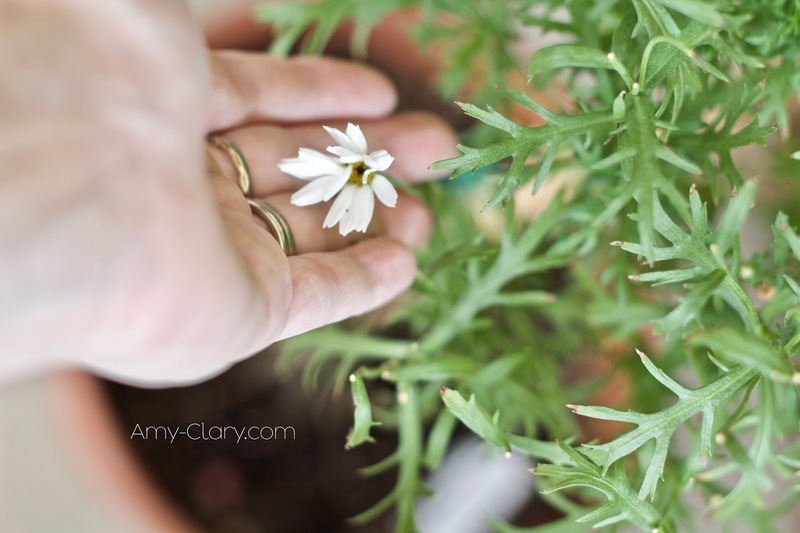 These miniature daisy blooms danced all over and I just had to find one of my own. 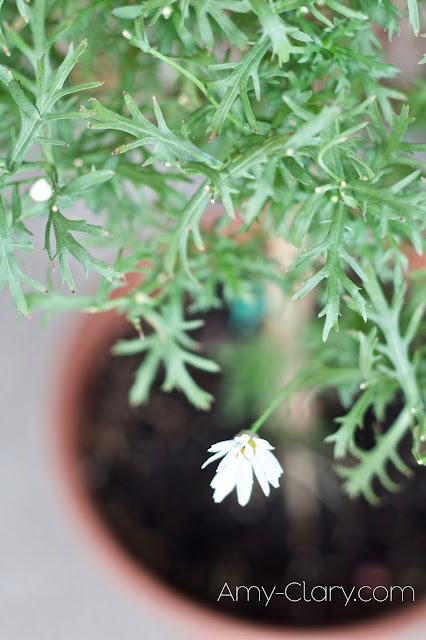 My heart overflowed with smiles upon smiles when we made our way to that little shop and I found my daisy tree. I got to take a bit of my vacation home with me and enjoy the continued feelings of peace and joy it brought me. Only a few months after I brought it home, I realized every leaf on it was starting to turn brown. The tree had stopped blooming. Even the buds on the branches were dead. What happened? This tree was supposed to be blooming all throughout the summer. I was sincerely devastated. I thought I was caring for it the way the card instructed me to. One day, I sat on my porch and slowly turned the pot as I pruned, and pruned, and pruned away at the daisy tree. Anything dead was gently removed. I had to give this beautiful tree a chance to revive itself and taking off the dead leaves and buds was the only way to do that. I remember it so clearly. As I was carefully pruning the daisy tree, my youngest girl came up to me. She gasped, "Mom! No! You can't do that! You can't take off its flowers and leaves! It won't flower anymore if you do that." I smiled and shook my head. "No, baby. That isn't right. This daisy tree isn't going to forget how to 'flower' if I take off the dead parts. It was designed to 'flower'. It doesn't know any other way to be." She didn't really understand what I was saying but she trusted me anyway. The tree's very nature is to create miniature daisy blooms. It doesn't know how to do or be anything else. Friend? I began to realize after my little chat with my girlie that the same principle applies to me. Leaving "dead things" in my life - a relationship, a lie I've nurtured forever, a part of my character I've long outgrown - only gives the appearance of "growth". It's false hope. Sure, there may be tiny buds all over, but their brown color signifies that nothing will ever come of them. In fact, to leave something dead alone as if it will eventually bloom actually steals from the parts of me that are in fact alive and vibrant. It's unhealthy for the whole of me to leave those things there and allow them to take up space in my life. So I prune. I learn to say "No more" to those things that have got to finally be let go of. And yes, it's the recipe for creating a feeling of emptiness and vulnerability. But what comes of that? What do I gain for the pain of letting go of the dead things in my life? New.Growth. I too have a unique nature about me. There's something I'm made to be and do and I can't help but be that. Holding on to browned leaves and dead buds will only hold me back from succeeding in my unique design. 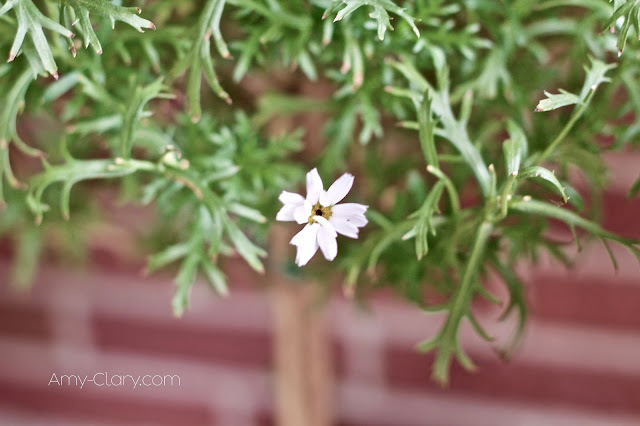 I remember the morning I went to water my daisy tree and saw the first little buds growing again on the branches. I called my smallest one over. "Do you see? THIS is a daisy bloom! All of that dead stuff had to be removed for this to grow." My heart nearly burst into a million pieces to see my little girl smile with excitement as she gently cupped the tiny bud in her hand. "Mommy! You were right! The daisy tree will flower now!" And "flower" it does. It's the same in my life. The hardest, most painful "No more" pruning times are leading to new growth in me. I'm who I've always been but that is allowed to take shape in new and fresh ways now. How are you growing? Is it something you value? What are the dead things that have long needed to be pruned away? Take a deep breath and a brave step with me today. Let.It.Go. so you can begin to bloom again. This can sometimes be an horrendously painful process. Unlike plants, we try to hang on to our dead parts add if our lives depended upon them.